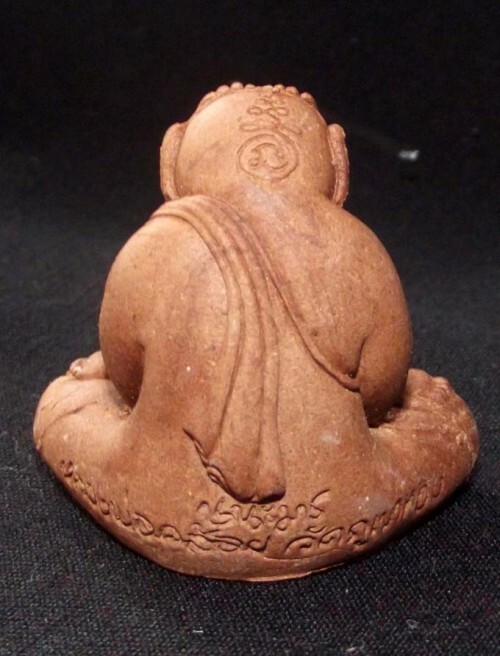 Taep Pra Rahu Plik Chadtaa Pratan Choke Lap (Rahu turning Fate around and Bestowing Good Luck and Fortunes). 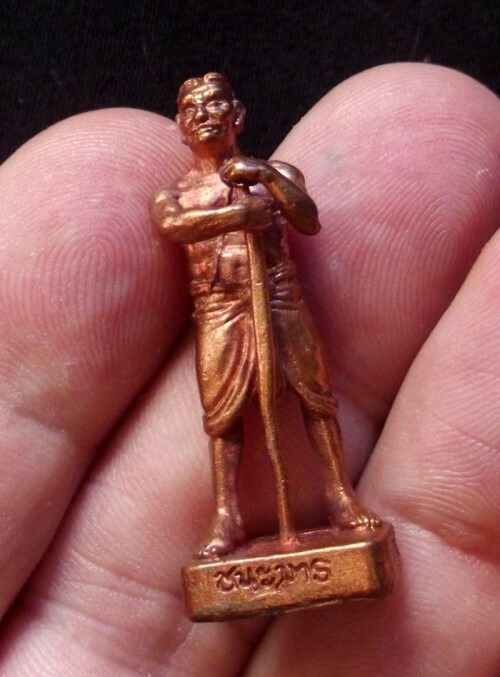 The Conquering Mara Edition of Rahu Amulets from por Tan Kloi were included in two Putta Pisek Taewa Pisek Empowerment Ceremonies and is an edition which is of Great Historical Importance for the Lineage Masters of Khao Or Southern Magical Arts. 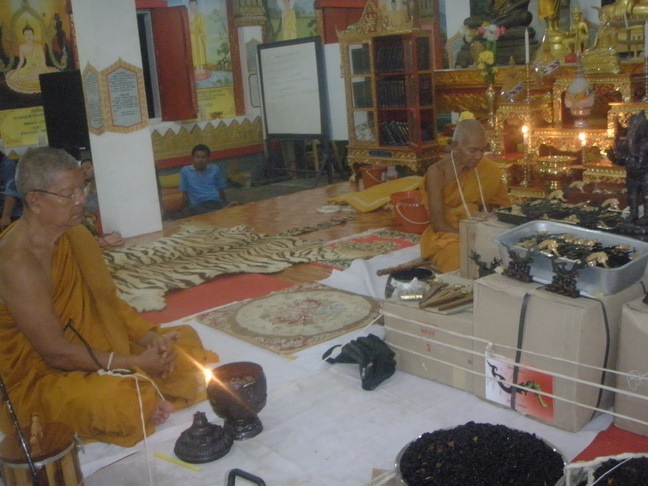 First empowerment was held in Ubon Ratchatani with a host of Isan Masters, and then again in the South, with the Khao or Masters present. 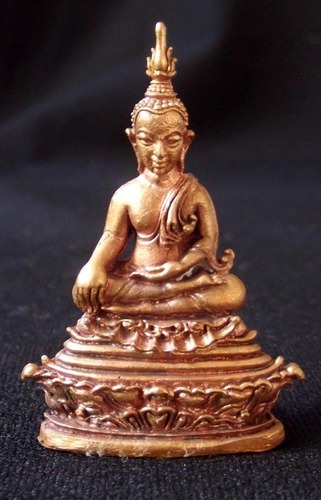 This version is made in Nuea Ngern (Solid Silver), and is second from top of the series below the solid Gold version. 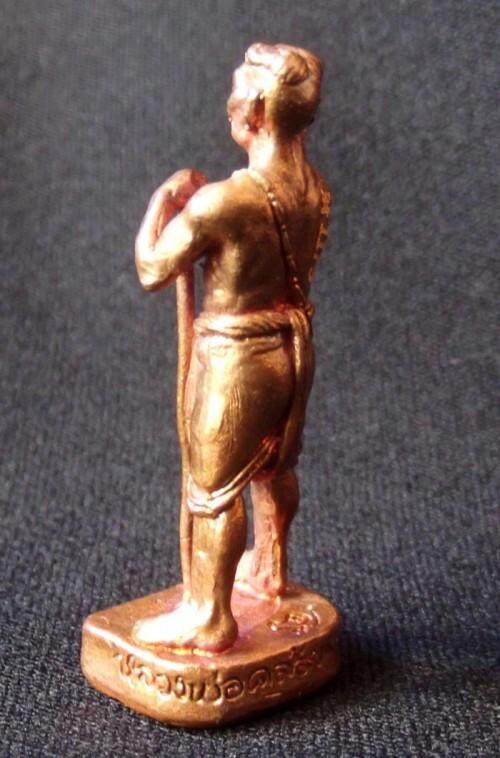 Each smelting of each different Sacred Metal were recorded and documented for future recognition of which smelt the amulet came from (for competition purposes – the amount of documentation and attention to details given to this edition shows strong signs of high collector value in the Future and competition status). 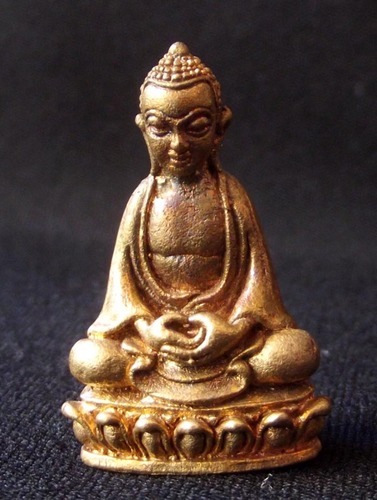 The amulet is composed of two pieces, face and rear, bound together. 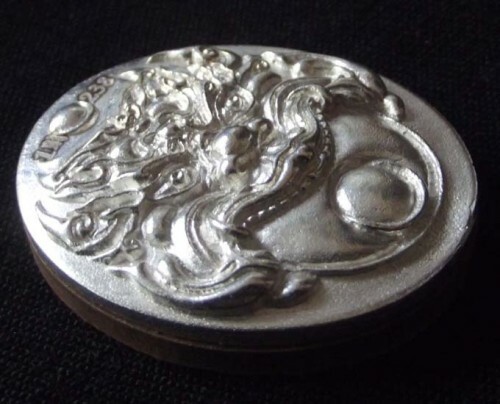 The front face is made froom Solid Silver, and the rear face is Sacred herbal Powders. 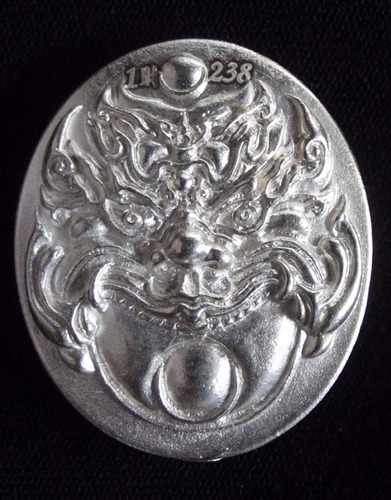 The Solid Silver versions all made in single smelting round, and all possess the #1 code stamp, on the top left of the front face, and a numbered series code on the front face top right, ranging from 1 – 415 in total. The first number indicates which of the smelting sessions the amulet belongs to. 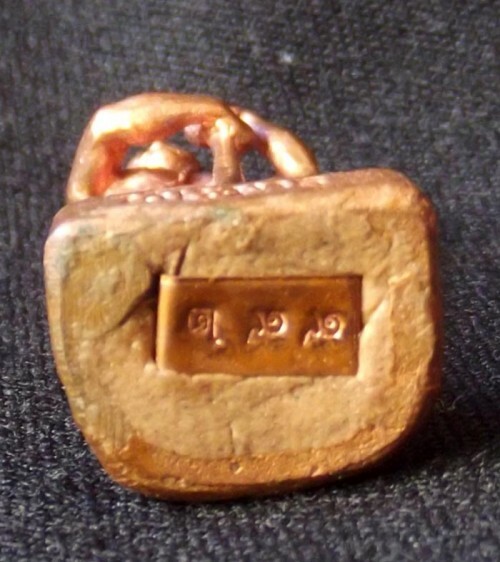 The second symbol is the Sigma Code stamp of authenticity, and the last number is the personal code number of each amulet. 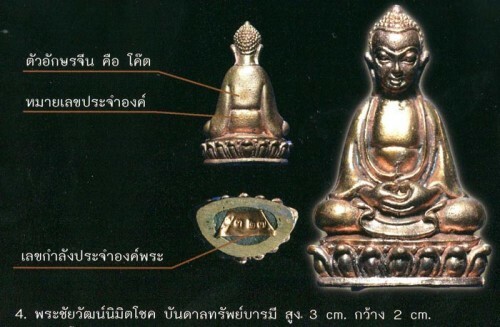 The amulets were made in various Sacred Metals and Powders and empowered in two Major Putta Pisek Ceremonies, along with some Hun Payont Soldier Amulets, some very rich sacred powder Pid Ta amulets in special edition, and a set of Pra Kring and Pra Chaiyawat Loi Ongk Buddha statuettes in Sacred Metals, and some Por Tan Kloi image coins. The metal front face is bound to a Sacred Powder rear face. 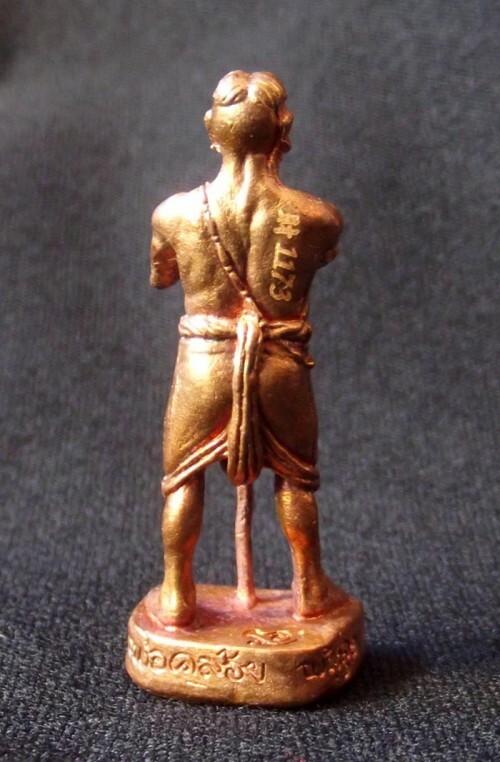 The rear face has a ‘Met Kring’ (the same Magical Bead that is inserted into Pra Kring amulets), some of Por Tan Kloi’s hair inside, and some Thai Paper Money stuffed within the amulet. The number of the edition and smelting code on a copper foil is also attached. 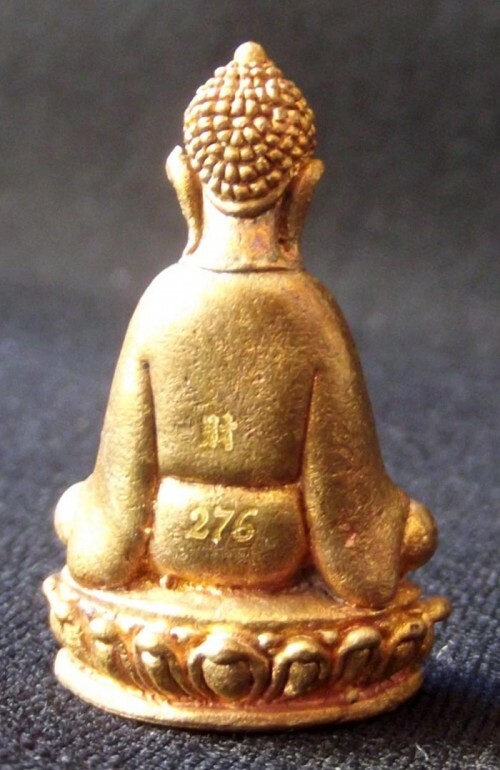 Each amulet has an individual numbered code stamp and individual blessing with gold powder on the sacred powder attached rear face. The amulets received an intensely powerful Blessing on both occasions. 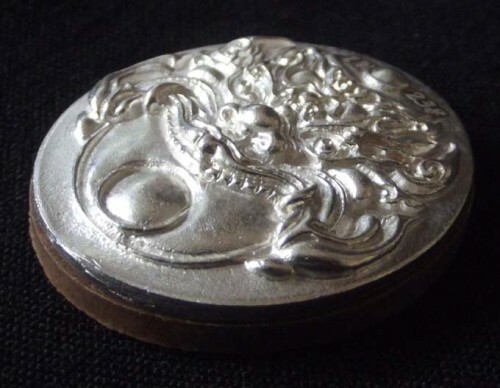 Only 415 Amulets were made in the Luxury Solid Silver versions. 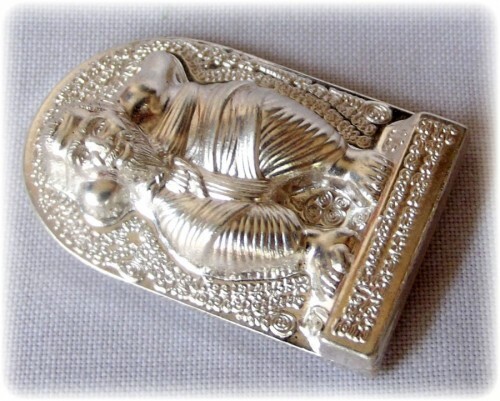 Each block press or smelting round for each different Sacred Metal was recorded and the resulting amulets and surface finishes from each smelting were also recorded, which is a sure sign of these amulets being accepted and extremely sought after in professional collector circles and high end amulet collector scenes in the Future. 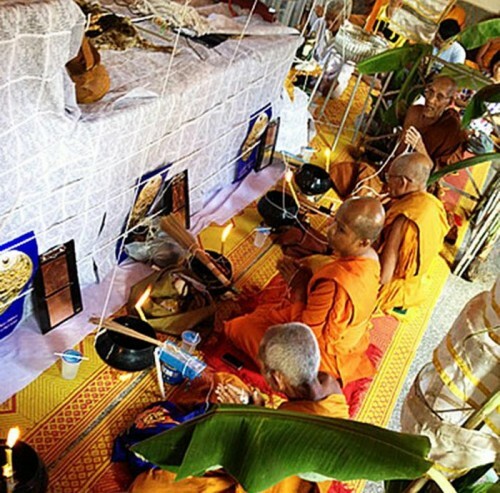 This Edition was made and recorded in the annals of Thai Khao Or Sacred Cave Magical Lineage History with a double Empowerment, first being performed with an array of the Best Masters of the Isan Magical Lineage and then on the second Empowerment Ceremony, in the Presence of the Current and Remaining Older Gemneration Khao or Masters of the Southern Magical Lineage. 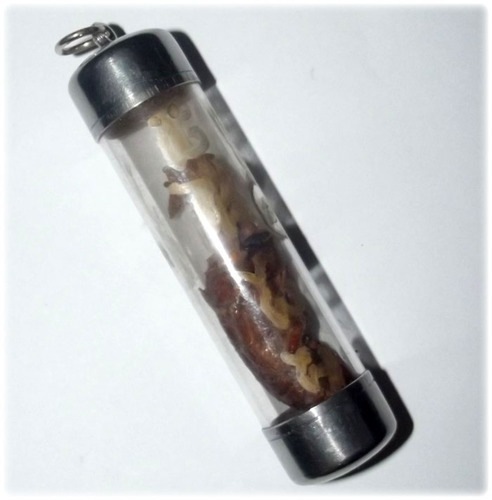 The presence of these Important members of Khao Or Magical Brotherhood all joining hands to empower these Pra Rahu, Hun Payont and Pra Kring Amulets will be an event that becomes part of the Historic and centuries Old Legend of Khao Or Sorcery for the Official Empowerment Ceremony of these Powerful (and Highly Collectible)Classic Amulets. 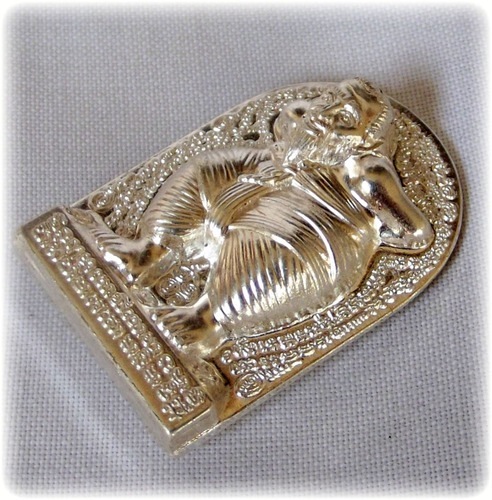 Pra Rahu is Prayed to by Thai Buddhist people to reduce the Ill Fate and Bad Karmic effects, for it is rahu who resides in the Darkness and sends bad luck to our Astrological Line of Fate. By Appeasing (with Offerings) and Praying to Pra Rahu for Mercy, we can reduce his Wrath and Increase his Metta towards us, in turn Increasing our Luck again. 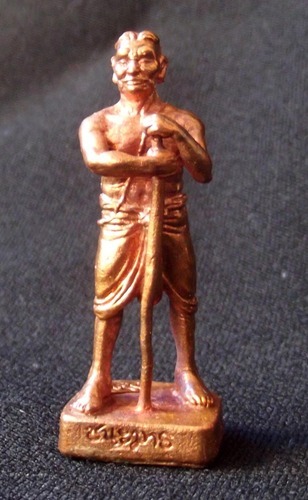 For Gamblers, Pra Rahu is an essential Deity to keep Appeasing so that Bad Luck streaks do not set in for too long. For the year 2012, Almost Everybody should Bucha Pra Rahu, especially after the Eclipses which were Occurring. 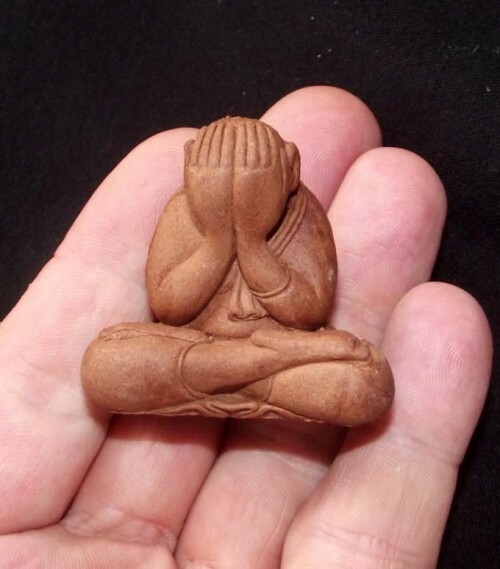 Most amulets in this edition sold out by pre-order before they were even blessed and released, and are very difficult to find already, for which reason we are very pleased to be able to provide some for our customers. Hun Payont Ghost Soldier by World Famous and Internationally acclaimed master of the Wicha Hun Payont; Por Tan Kloi. Por Tan Kloi’s Reputation for Great Prowess in Empowering and reanimating Hun Payont effigies is not only Unanimously agreed upon, it is also a Legend which has arisen due to the massive number of poositive feedback stories from Devotees who used his Hun Payont, which is the main reason for the Legend of his Fame. 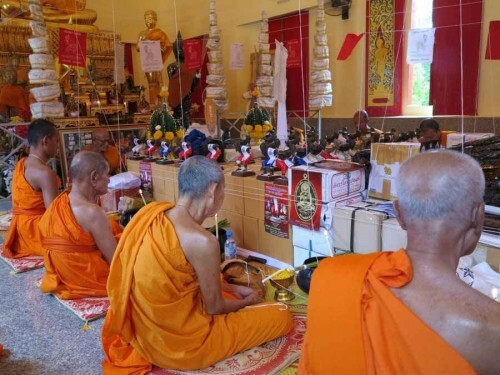 Every previous edition he has made of Hun Payont have been successful when judging from the tales and stories which flowed back to the Temple from Devotees who rented a Hun Payont and came back to tell their stories of Success. 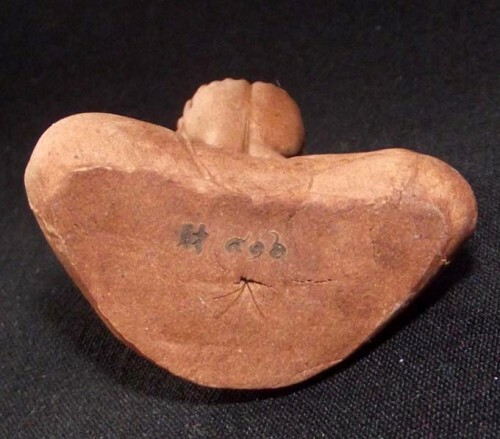 Por Tan Kloi spent the whole Rainy retreat performing Incantations for these amulets, and in the case of the Hun Payont, performed the Invocation of the 4 Elements, and the 32 Components of a Human Being Incantation for the Re-Animation of the Hun Payont. 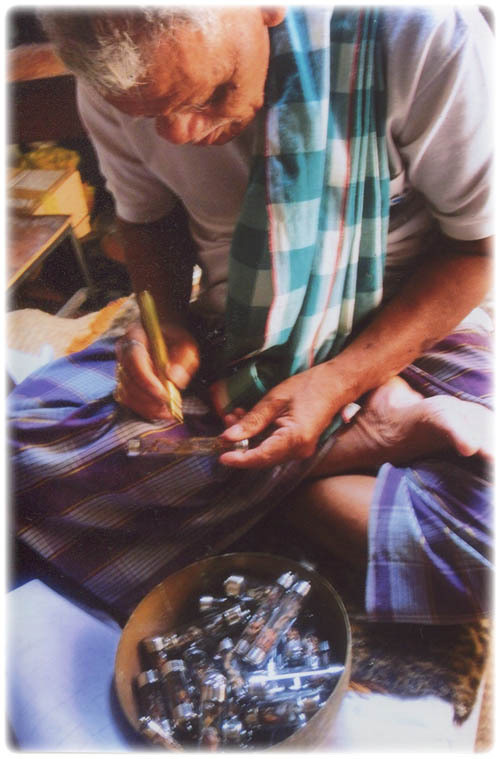 The Hun Payont is made from Nuea Sadta Loha – 2009 amulets were made in all. 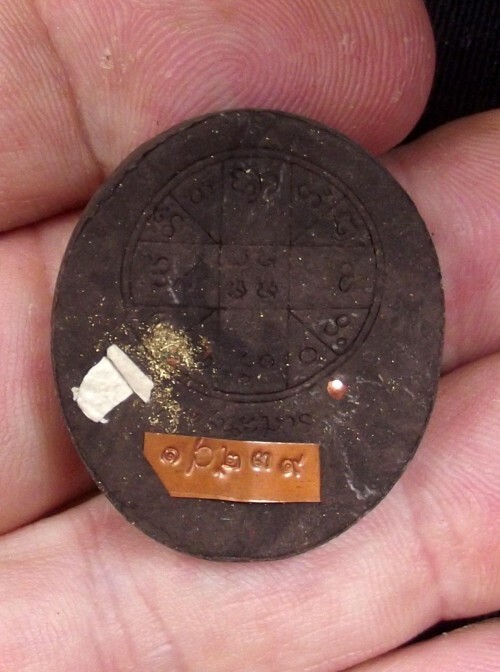 A Chinese Code symbol, and a numbered series code are on the back face, A copper foil with stamped code is inserted into the sacred powders of the base. 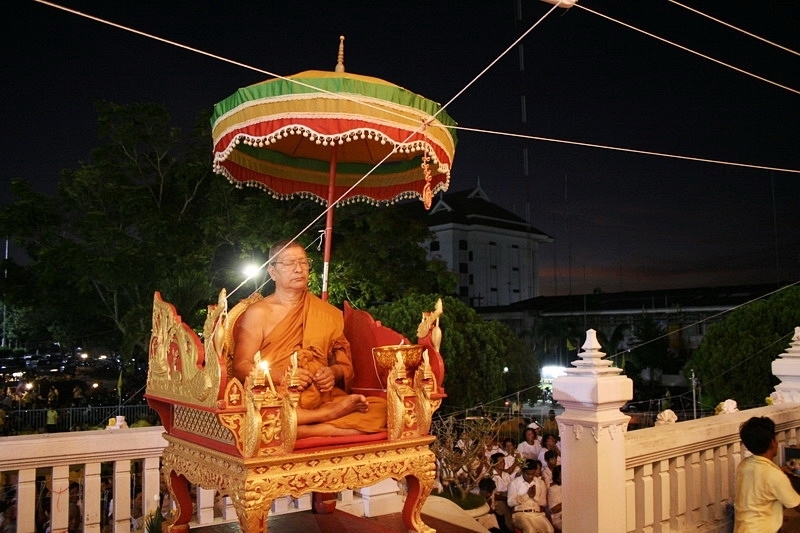 A Double Empowerment Ceremony was given with the first being in Ubon Rachatani with a host of Isan masters, and the second Putta Pisek Ceremony being performed with the Kha Or Lineage Masters at Wat Phu Khao Tong, with Por Tan Kloi performing the lighting of the Victory Candle. The Ceremonies were combined with the special Empowerment of the Pra Rahu Chana Marn edition, which is one of the most important and exciting editions of Pra Rahu amulets of the Present Era, and has recieved International Acclaim, both for the Magical Power of the Masters involved with the Empowerment, as well as the quality and prestige value of these incredibly well made and Sacred amulets. 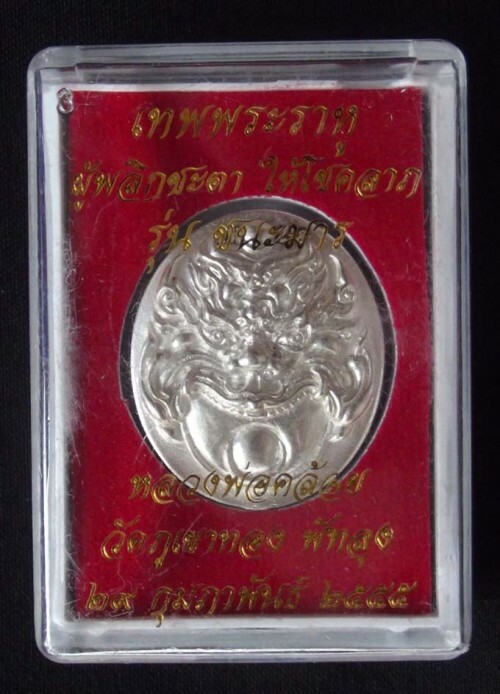 Considering the fact that it is hard to overshadow the Hun Payont made by por Tan Kloi in earlier editions, this edition does not stand in the shadow of any of them, and stands out for its quality Chanuan Muan Sarn Sacred metal and sacred powder filling, South Thai artistic interpretation, and the magic of the Khao Or Sorcerors present in the Blessing, to bring it to life with the Mysterious and Magical Power of the Hun Payont. 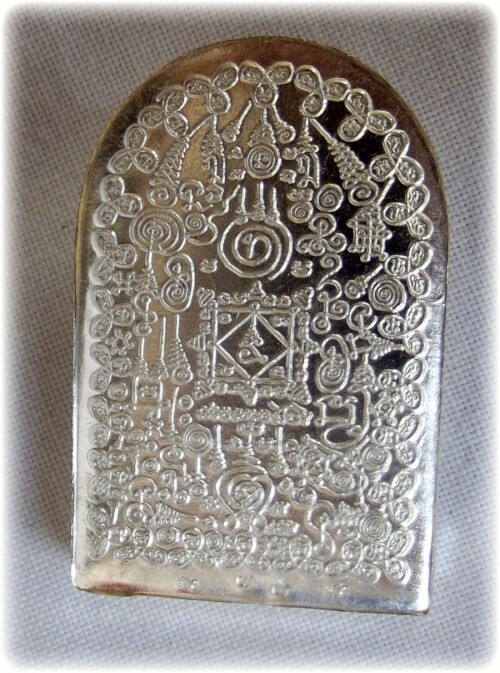 A mixture of Ancient Artifacts and Yantra Foils in Seven different Sacred Metals were smelted together for the ‘Chanuan Muan Sarn’ (metal base ingredients used for the making of amulets). 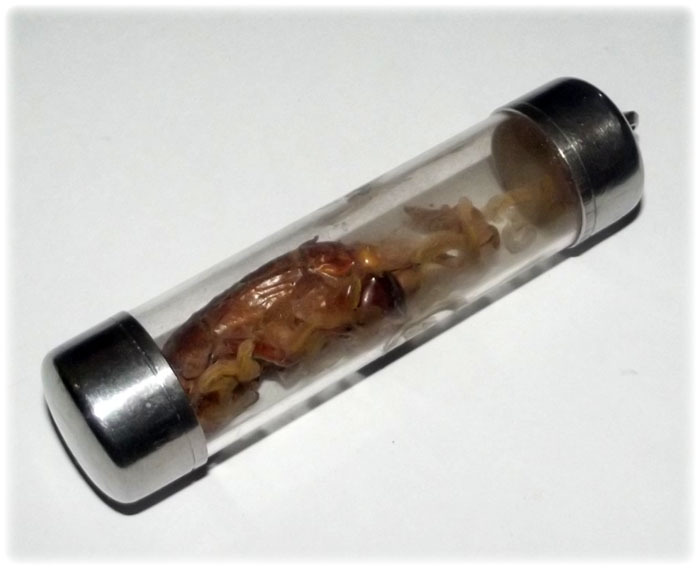 The Seven Sacred Metal mixture is traditionally called ‘Sadta Loha’. The word ‘Sadta’ means Seven in Sanskrit, and Loha means ‘Iron’, or ‘Metal’. 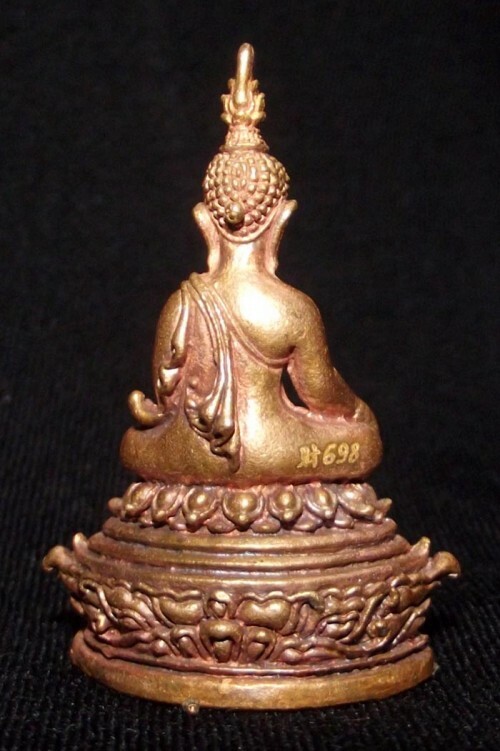 There are various mixtures of Sacred Metals used in Thai Buddhist Amulet making, which are all more or less equally sacred, but more or less rich in precious metals, depending on the formula. 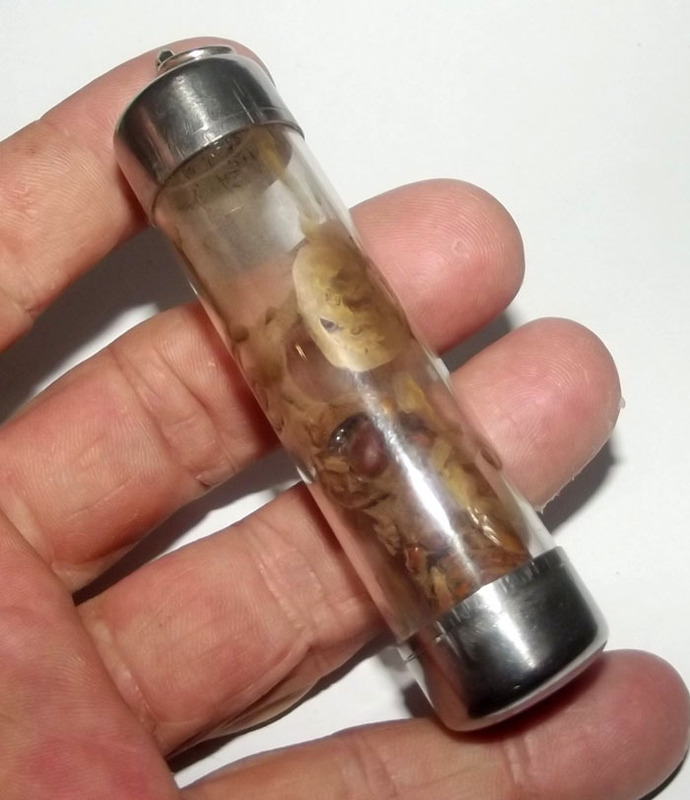 7 Metals may not always be worth less than 9 metals for example, for there are different levels of each mixture which have more or less amounts of precious metals in, such as gold and silver for example. 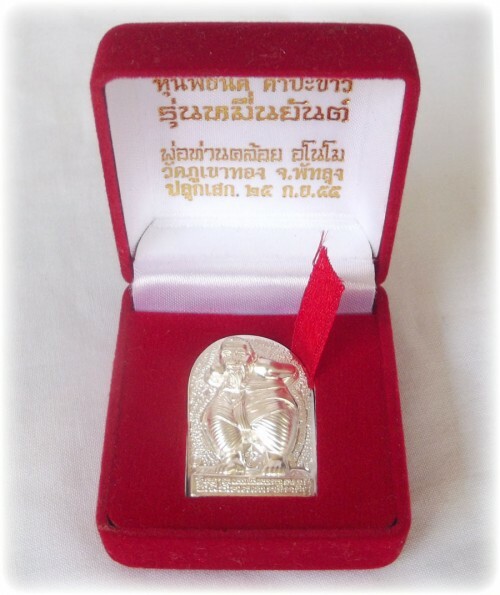 A total of 1399 of the Pra Kring amulets were made in the edition. 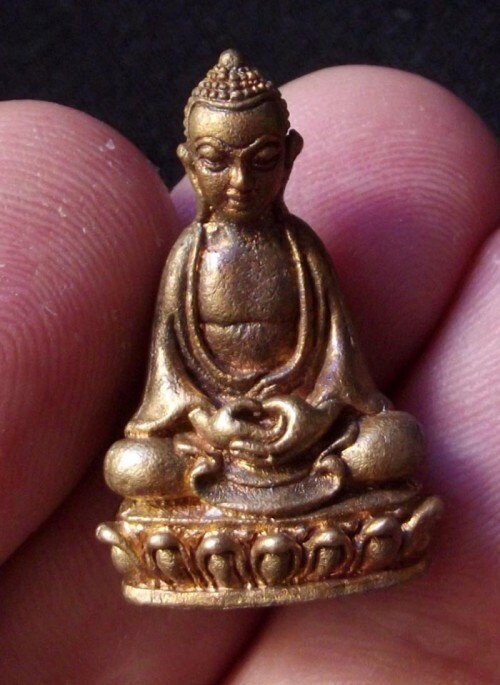 The Kring is a true Masterpiece Amulet and a great Work of Fine Miniature Buddhist Arts. 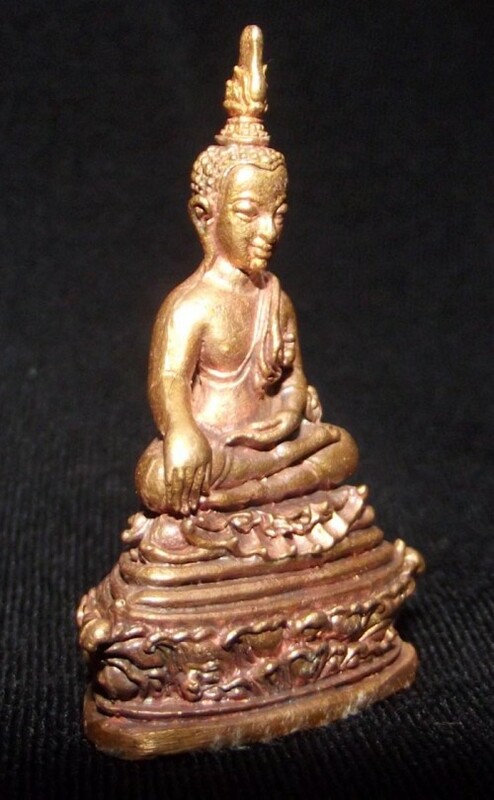 An Excellent Classic Thai Buddhist Amulet with Exquisite design factors, and a very high level of intricate filigrain details, especially when we examine the area around the lotus petals of the Lotus Throne of the Buddha, who is seated in the Conquering Mara posture (Pang Chana Marn). The folds of the Biddha’s Civara Robe are decorative and flowing with motion, the curves of the Buddhas torso, and limbs are aesthetically styled to please the eye with flowing wave-like contours. 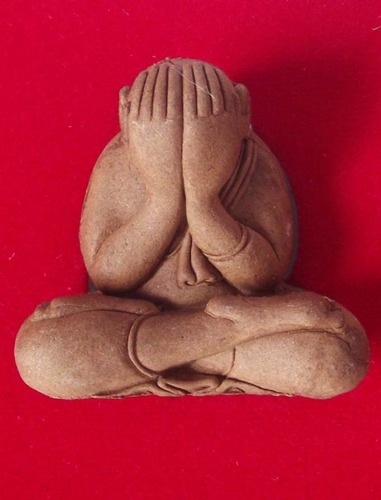 The face of the Buddha itself is full of expression, emitting both Metta and the Power to Overcome Enemies (with Metta). 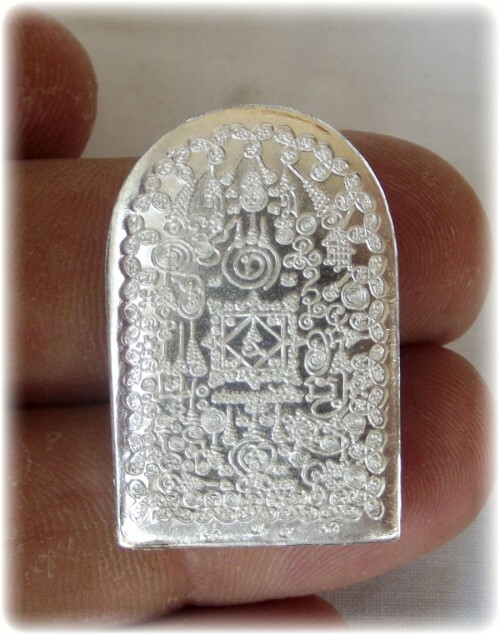 The Pra Kring Amulet is 4 Cm high 2.8 Cm wide – made from Sacred Chanuan Muan Sarn Sadta Loha. 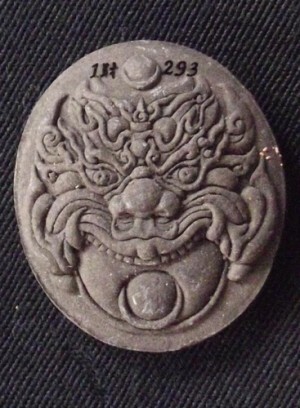 A Chinese Code symbol 财, and a numbered series code are embossed on the back of the amulet. 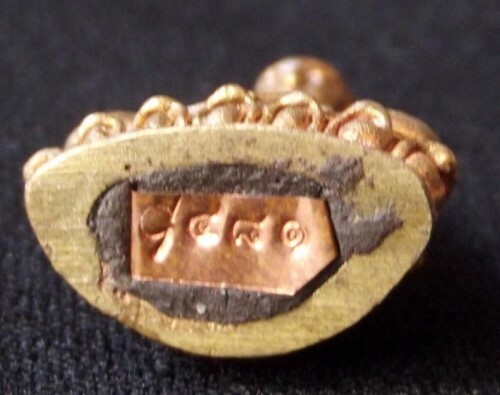 In addition, for reference, a copper foil with stamped code is inserted into the sacred powders of the underside of the Pra Kring Amulet. 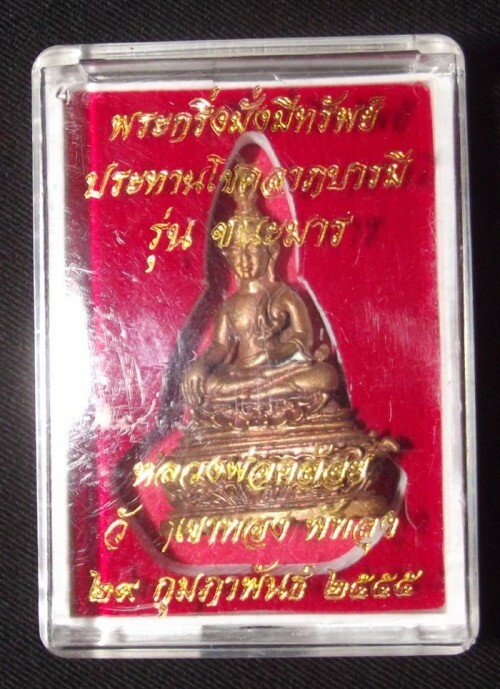 The Pra Kring, and all other Amulets in this Edition Received 2 separate Blessing and Empowerment Ceremonies (Puttapisek/Taewapisek), one in Ubon Rachatani, and one was held in the South with the Khao Or Masters in Pattalung. 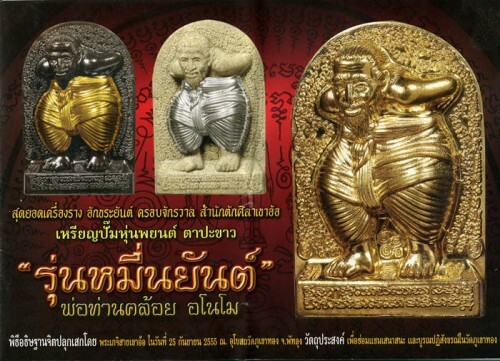 The Empowerment of all amulets in this edition go without saying that, being Southern type Khao Or Wicha amulets in Nature, the Khao Or Masters empowering them are simply the best choice.Conclusion; This Edition of Thai Buddhist Amulets is an Extremely Important Edition of Reference Grade Amulets, Run Chana Marn 2555 BE Edition Amulets are accepted by the Official Collector Circles, and can be expected to stand the Test of Time, with a Long Future of Passionate Collectorship. 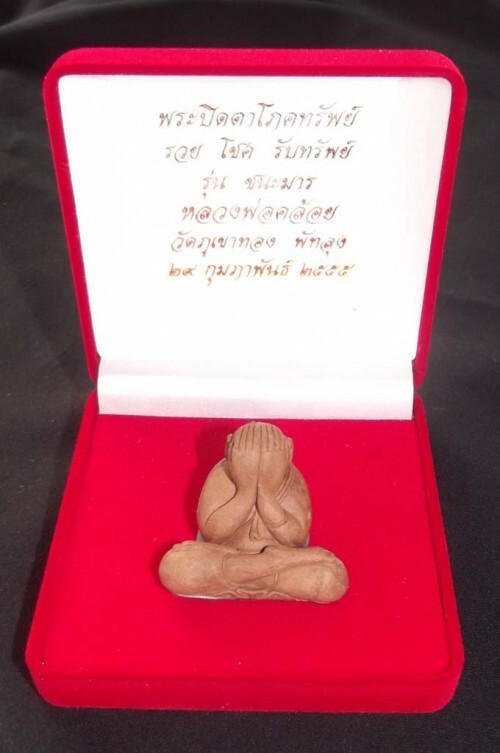 Comes with Original Box from the Temple of Wat Phu Khao Tong. 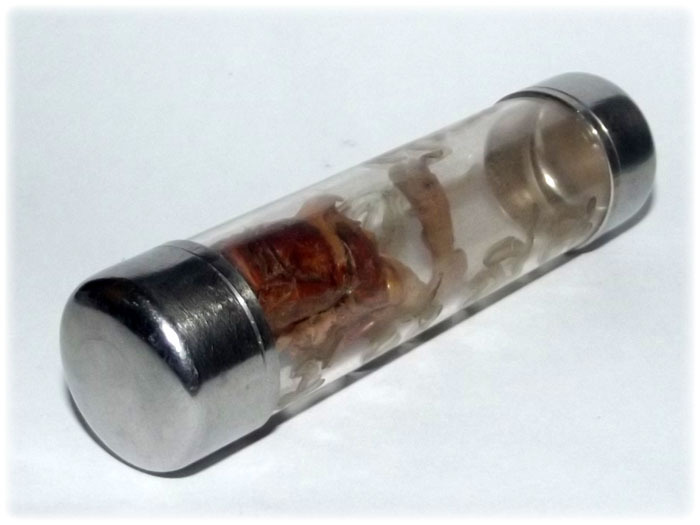 Can be Encased if Desired. 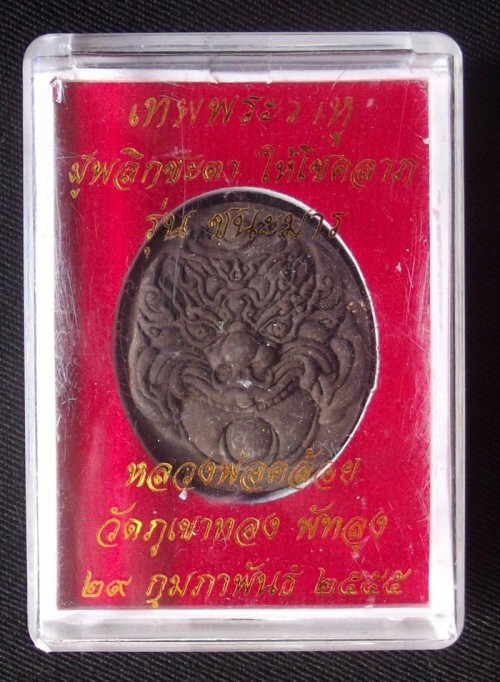 The Conquering Mara Edition of Rahu Amulets from por Tan Kloi were included in two Putta Pisek Taewa Pisek Empowerment Ceremonies and is an edition which is of Great Historical Importance for the Lineage Masters of Khao Or Southern Magical Arts. 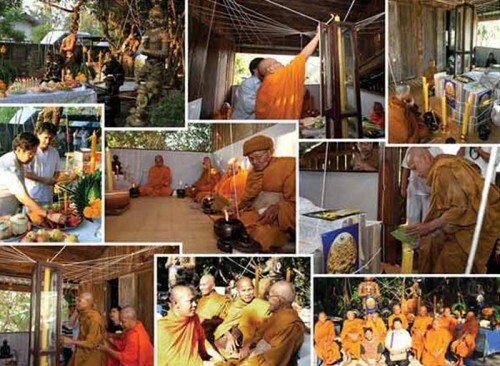 First empowerment was held in Ubon Ratchatani with a host of Isan masters and then again in the South with the Khao or Masters present. 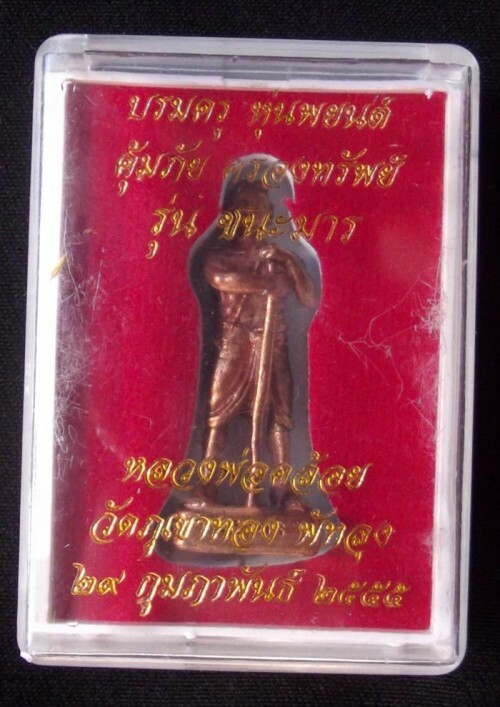 The amulets were made in various Sacred Metals and Powders and empowered in two Major Putta Pisek Ceremonies, along with some Hun Payont Soldier Amulets, some very rich sacred powder Pid Ta amulets in special edition, and a set of Pra Kring and Pra Chaiyawat Loi Ongk Buddha statuettes in Sacred Metals. 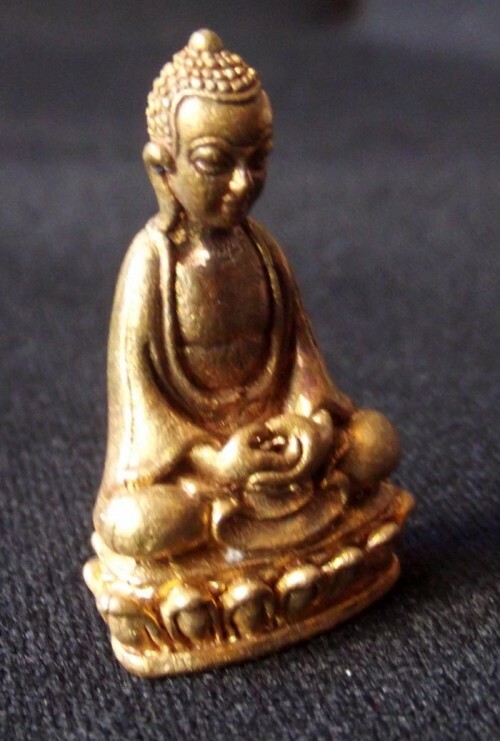 Each amulet has an individual numbered code stamp and individual blessing with gold powder. The amulets received an intensely powerful Blessing on both occasions. The metal versions were made 888 times in 8 different smelting ceremonies, making each mixture emerge slightly different. 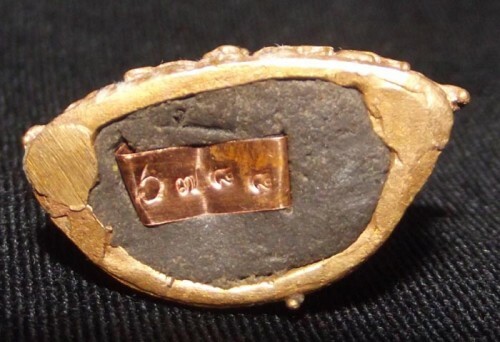 each block press or smelting round was recorded and the resulting amulets and surface finishes were also recorded, which is a sure sign of these amulets being accepted and extremely sought after in professional collector circles and high end amulet collector scenes in the Future. 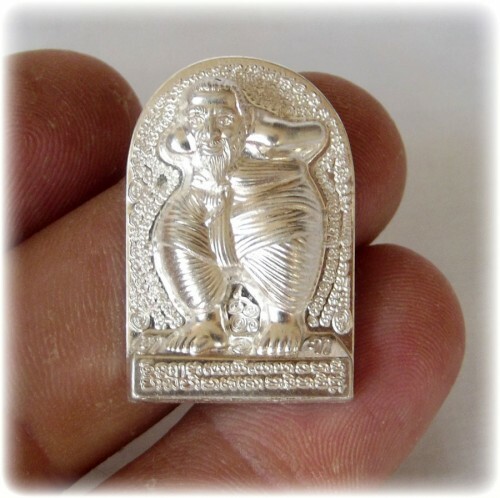 Most amulets in this editon sold out by pre-order before they were even blessed and released, and are very difficult to find already, for which reason we are pleased to be able to provide some for our customers.